The Berlin location of VCI Emergency Vehicle Specialists is a one-stop shop for all your ambulance needs. 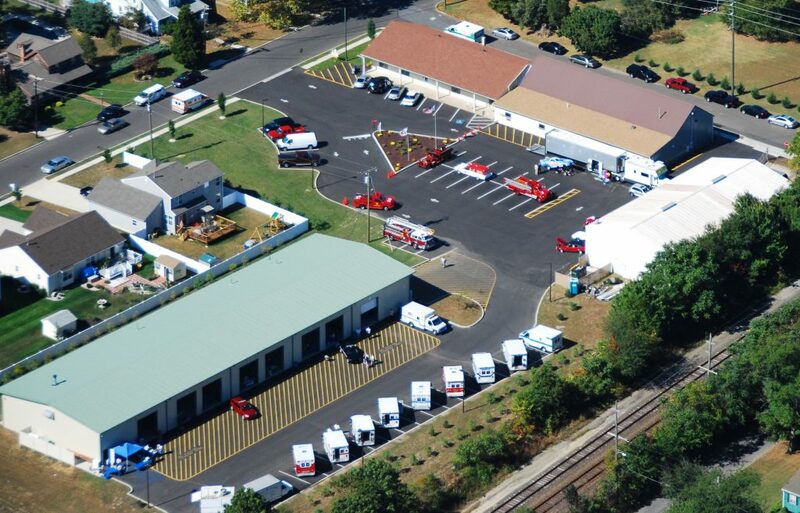 For 40 years, VCI Emergency Vehicle Specialists has been selling new ambulances to local municipalities/governments, Fire Departments, EMS organizations, First Aid Squads, and private medical transport companies alike through our Berlin office. Our service facility features over 12,000 square feet dedicated to vehicle repairs and remounts. Our service shops are fully staffed with dedicated emergency vehicle repair technicians that offer decades of experience, expertise, and industry certifications. Our 12,500 square foot body shop has a 50 foot E-Z Spray Booth, a specially made Chassis Liner frame machine, and an over-sized in-ground lift able to handle up to 36,000 pounds. VCI Emergency Vehicle Specialists takes pride in every vehicle that is repaired in our body shop each year. We offer graphic services for any type of emergency vehicle using Gerber edge printers, 15 & 50 inch cutters, and 24 inch pressure laminators to get the job done right!